Easiest Upgrade to get the most dramatic increase in power from an off the shelf tune. 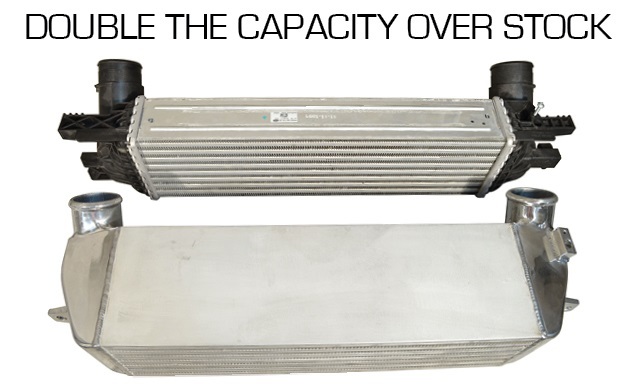 Escape Heat soak that overwhelms the stock front mount intercooler, with a simple installation. The increase in core size helps to cool the diverting air passing through the intercooler at an incredible rate. Optional Addition: For BEST COLD CHARGE TEMPS are Injen charge pipes to wake up your mustang ecoboost delivering cooler charge temps leading to and leaving the intercooler. The Injen Ford Mustang EcoBoost Performance Intercooler is an upgraded replacement for your OEM intercooler. The advantage of this intercoler is that it is much more efficient for cooling while saving weight and preserving a smooth flow. This allows your car to run more reliable because of lower operating temperatures that are consistent throughout all driving situations. 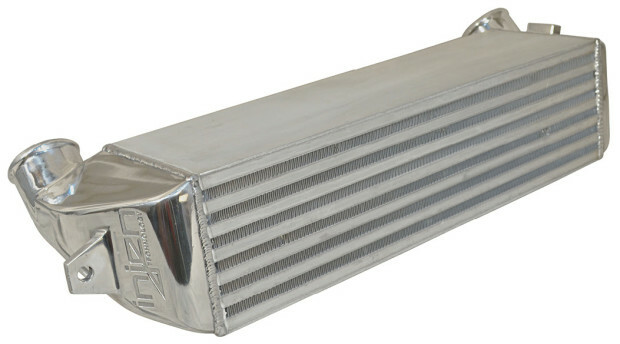 And with its TIG welded construction, this intercooler is bulletproof and will last for the life of your car. So if you're ready to order a Injen Ford Mustang EcoBoost Performance Aluminum Intercooler, give ModBargains a call at 714-582-3330 and talk to our Modification Experts to get the aftermarket parts that you've always wanted.